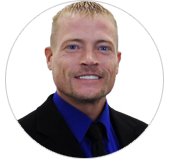 Ryan Schwantes is the President of Baldwin Research Institute, Inc., the developers of The Freedom Model. Although Ryan is not author of The Freedom Model, he has unquestionably been an integral part of BRI’s development of The Freedom Model ideas and applications. Mr. Schwantes created BRI Publishing during the development of The Freedom Model as the vehicle to distribute the revolutionary Freedom Model System to the public. His contributions to the development of The Freedom Model are invaluable. Ryan is dedicated to making The Freedom Model the standard by which those looking to move beyond addiction look towards. He believes The Freedom Model will be the catalyst to changing the way in which people view “addiction”. Ryan’s passion and desire to make The Freedom Model a household name drive his determination to make The Freedom Model the most successful model to move beyond addiction. Ryan Schwantes lives in New York with his wife and 2 sons. He enjoys spending time with his family. Ryan is also passionate about fitness and health and is active in helping others achieve a happy, successful and healthy life.